An original e-novel from the Original Series universe! The Enterprise-E arrives in unclaimed space for a rendezvous with the Starfleet science vessel Newton. Jean-Luc Picard and his crew have been ordered to assist the Newton with the final phase of its current mission—a mission that brings Picard face to face with something he never thought he would see again: the phenomenon known as the Nexus. Less than twelve years after it left the Alpha Quadrant, the Nexus ribbon has now returned. Tasked to track and study the phenomenon as it re-entered the galaxy, the specialist science team on the Newton discovered that the orbital path of the Nexus has been radically altered by the actions of the rogue El-Aurian Tolian Soren—taking it deep into the territory of The Holy Order of the Kinshaya, one of the key members of the Typhon Pact. Starfleet Command is unwilling to allow the Kinshaya—and by extension, the Typhon Pact—free access to what is essentially a gateway to anywhere and anywhen, as a single operative could use the Nexus to change the course of galactic history…. James Swallow is a New York Times and Sunday Times bestselling author and BAFTA-nominated screenwriter, the only British writer to have worked on a Star Trek TV series. 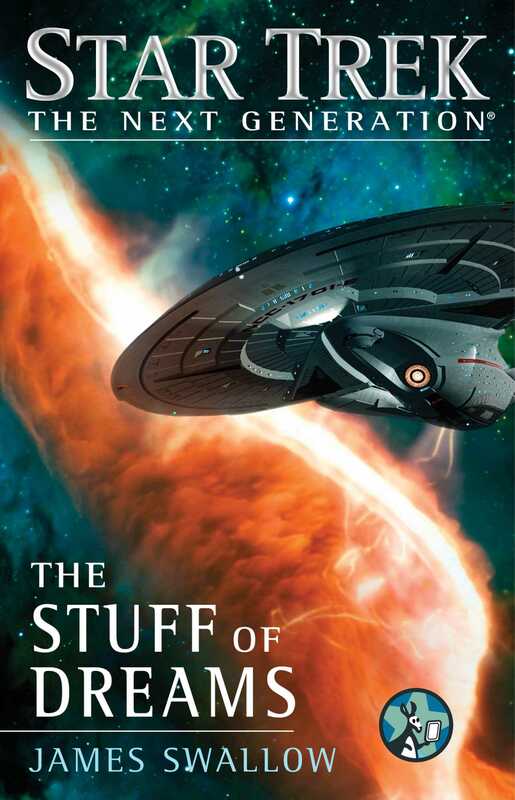 His Star Trek fiction includes The Latter Fire, Sight Unseen, The Poisoned Chalice, Cast No Shadow, Synthesis, Day of the Vipers, The Stuff of Dreams, Myriad Universes: Seeds of Dissent, and short stories in Seven Deadly Sins, Shards and Shadows, The Sky’s The Limit, and Distant Shores. His other work includes the Marc Dane thriller series and tales from the worlds of 24, Doctor Who, Star Wars, Halo, Warhammer 40,000, and more. He lives and works in London.